The other day I bought a packet of fresh cranberries from the supermarket and it is not everyday that you can find fresh cranberries for sale, not even frozen ones. What's available in the supermarkets near my house are only dried and processed cranberries which I have been using to make cakes and cookies. Little did I know that fresh cranberries tasted so sour and slightly bitter! 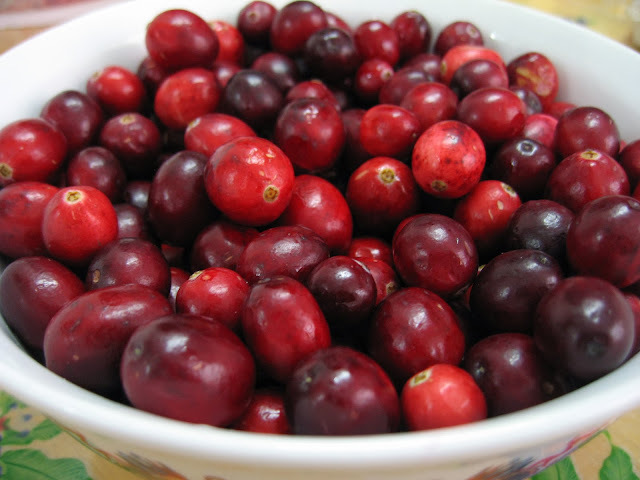 I did not want to throw them away so I surfed food blogs for recipes that use fresh cranberries. 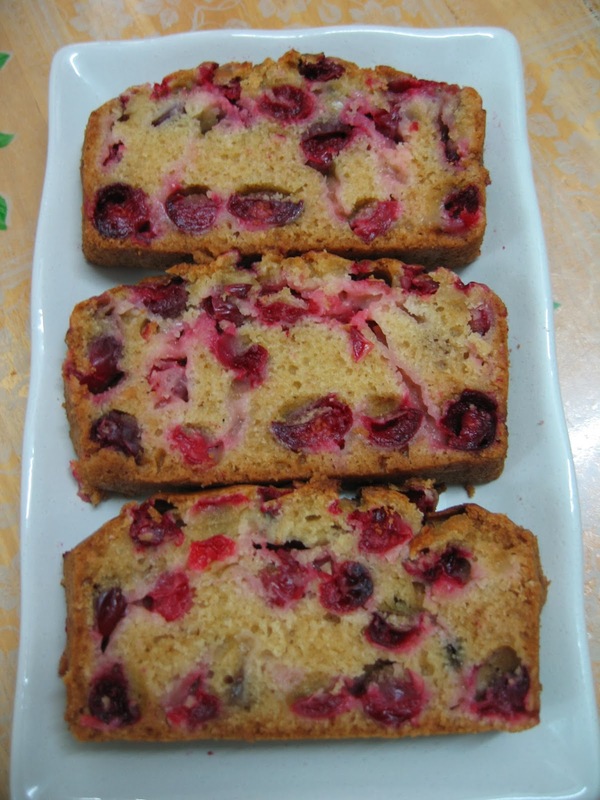 Martha Stewart's cranberry bread caught my attention because her recipe uses the exact amount of fresh cranberries which I bought and partly because the picture in her food blog looked so delicious. I was sadly disappointed! 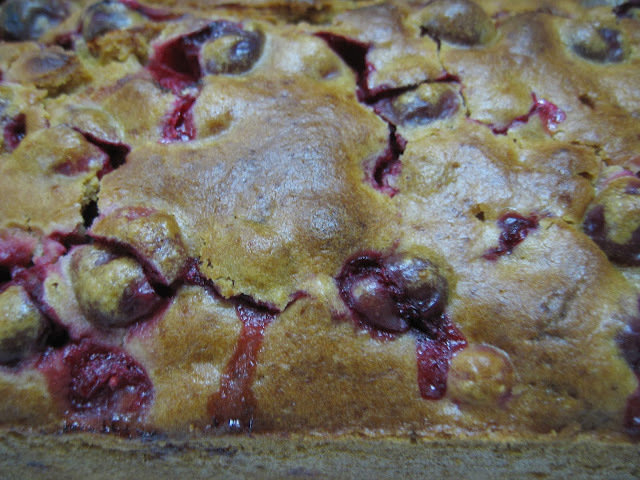 Even after baking and with the addition of brown sugar, the cranberries were still sour. 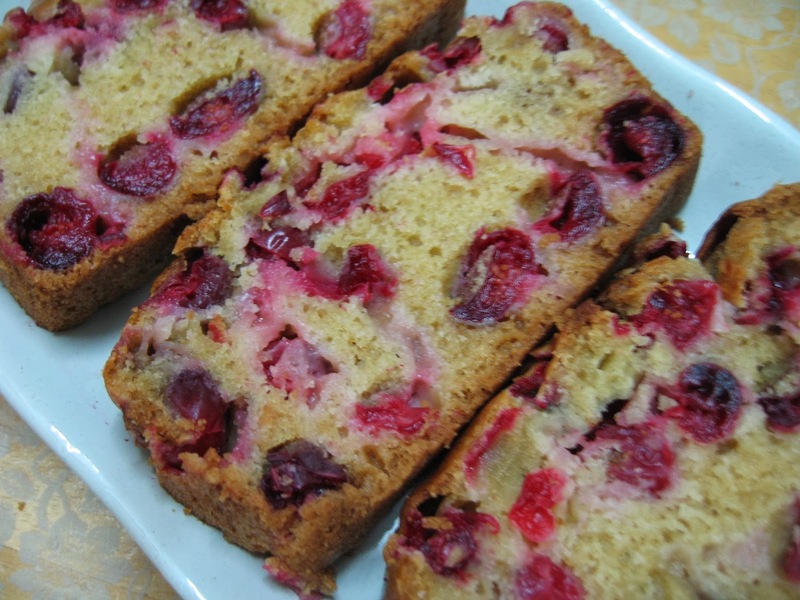 But of course it was much better than cranberry in its raw form. However, I am not too accustomed to the sourish taste. But it sure looked pretty, speckled with little red dots all over the bread! 1. Preheat oven to 180 degree C. Grease a 9 inch by 5 inch loaf tin. 2. In a large bowl, whisk together the plain flour, brown sugar, baking powder, baking soda and salt. Set aside. 3. In a medium bowl, combine melted butter, egg and milk. Mix wet mixture into the dry mixture and whisk to mix until well combined. Fold in the fresh cranberries. 4. Pour batter into the prepared loaf tin and bake for 1 hour or until done. Looks beautiful, speckled with red dots all over the bread. Note of caution though : The fresh cranberries were sour and slightly bitter. Fresh cranberry is hardly available here in Australia... only the frozen ones :( Luckily, the frozen work as well as the fresh ones too. 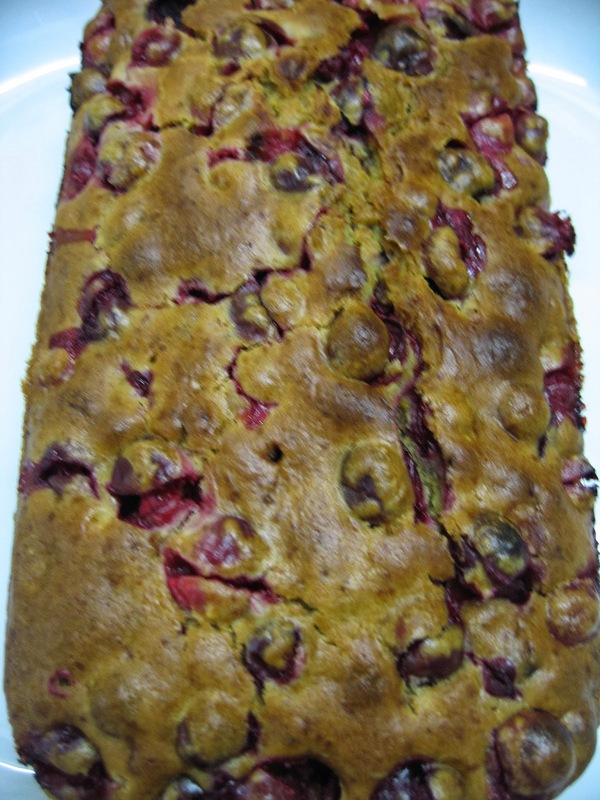 Your cranberry loaf with fresh cranberries look really good with oozing cranberry juice... You are right that they can be sour and so I try not to cut back too much sugar if I'm baking with them. Not cutting back the sugar is a right move.